Iranian author Habib Ahmadzadeh has resent the letter of the Supreme Leader to Westerners he is in contact with in a bid to promote Ayatollah Khamenei’s message. To spread word on the letter the Supreme Leader has penned for the youth in the West, some Iranians have emailed the letter to the Westerners they are in contact with. One such individual is author Habib Ahmadzadeh. 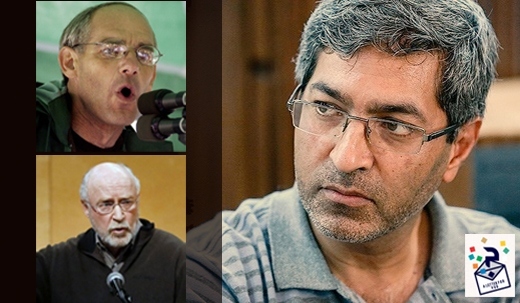 The following is the translation of a report Hamshahri Javan, a magazine, published in its 496th issue – out on February 28 – about Ahmadzadeh’s measure. “Thank you very much for sending this message. Although the United States prides itself on “freedom of speech” and the free flow of information, I have not seen these words anywhere else. And the Ayatollah’s words are reasonable, direct and enlightening. “Habib. Thank you for sending this wonderful letter from Ayatollah Seyyed Ali Khamenei, to the youth of Europe and North America. Did you know that my son Nick carried the Koran with him? This brought him under suspicion of the US Army Police who detained him leading to his death in Iraq in 2004. He wanted to know everything about Islam and did just what Ayatollah Seyyed Ali Khamenei suggested to the youth – find out firsthand with an open mind. What great advice! One of the unique lessons our political and cultural officials should learn from the letter of the Leader in talking to officials of other countries and even our own people is to invite them to develop insight into things. In the absence of insight and understanding, quick approval and acceptance won’t last long.